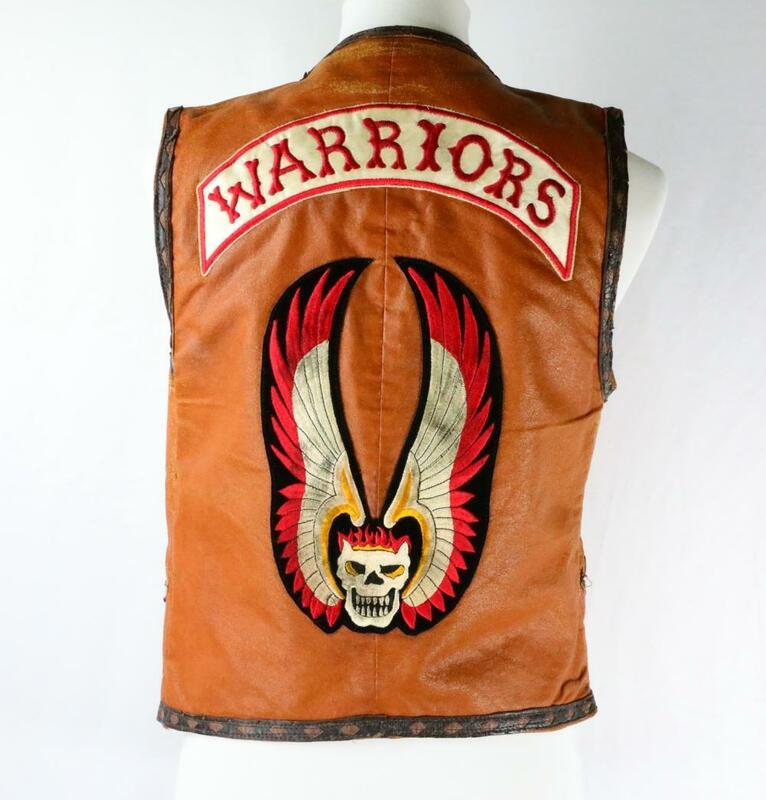 The Warriors Movie Forum • View topic - Cochise's Vest on Ebay! 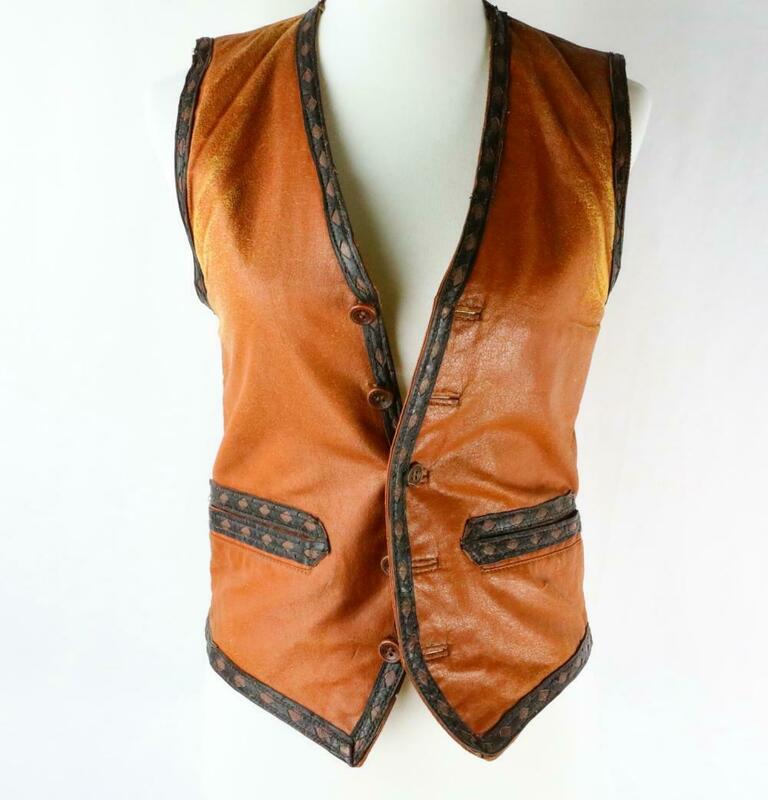 Re: Cochise's Vest on Ebay! Ninth Delegate wrote: Yes, that's the same vest. As far as I'm aware, the only thing original about the patches is (they stated) they found the place who manufactured them in 78 to make the replicas. Hmmm, do you believe that? That doesn't sound very likely to me. I'll be looking as close as I can at the Plato vest at the UK conclave, as I'm convinced both patch sets were made at the same time. I think even the owner of that vest has said as much. The stains and ageing on the patch look too fake; especially compared to the brightness of the rocker IMO. Comparing the photos of the patch to the one I own; mine is nowhere near as stained/dirty, and its been worn on the back of a bikers vest, picking up exhaust fumes and exposed to the elements for over 20 years. Ninth Delegate wrote: Comparing the photos of the patch to the one I own; mine is nowhere near as stained/dirty, and its been worn on the back of a bikers vest, picking up exhaust fumes and exposed to the elements for over 20 years. He did have a point about there being no visible needle holes from re-stitching though, didn't he? Will have to see how the restitching looks on the plato vest and make a judgement call after that. Altho I do recall the 1st replica patch looked the wrong shape, so they made another 1. The 1 on the plato vest is it's 2nd replica. Ninth Delegate wrote: Will have to see how the restitching looks on the plato vest and make a judgement call after that. Altho I do recall the 1st replica patch looked the wrong shape, so they made another 1. The 1 on the plato vest is it's 2nd replica. Can you PM me your contact details, bud? We totally have to meet-up at this thing! The most expensive one yet, right? Cochese wrote: The most expensive one yet, right? You should know since you now own two of 'em! The irony of that price on ebay, being that it was listed for ten grand and couldn't sell. Yeah, I don't think eBay is the best place to sell a genuine item of memorabilia.